Guest author Peter Richardson continues this week's series describing how the newly launched illustrators, a quarterly magazine celebrating the greatest UK and European illustration of the past 150 years, came to be. 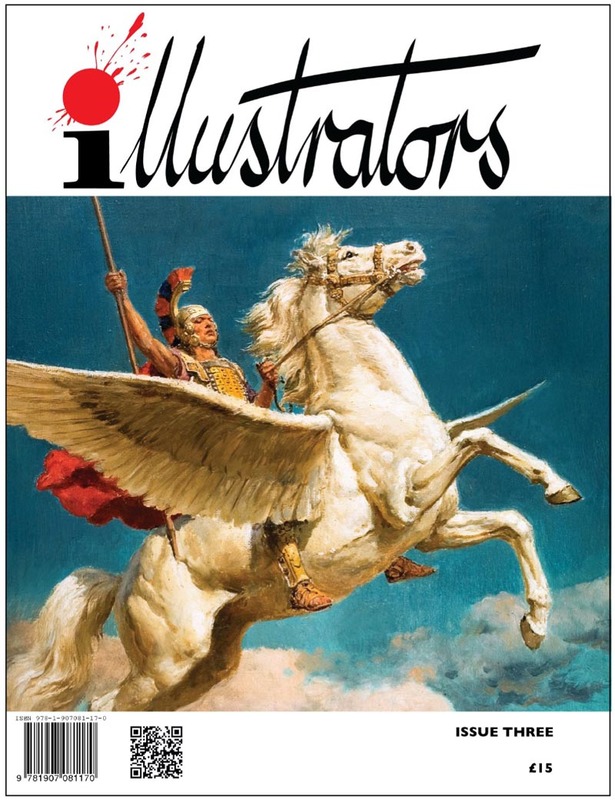 The third issue of illustrators looks at the life and art of Fortunino Matania. 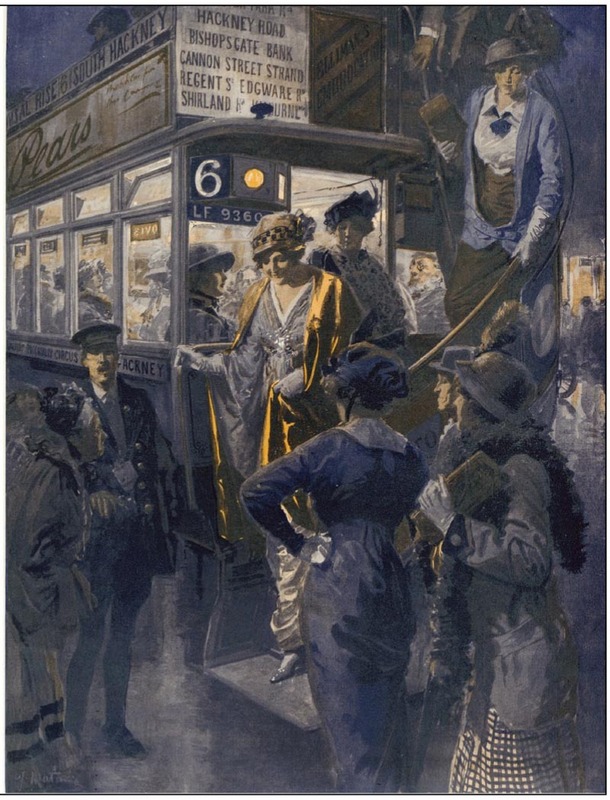 In addition to being a supremely talented and driven artist, he was blessed with a photographic memory, and this was to prove a crucial asset in an era when reportage illustration was at its peak. But Matania’s work was broader in its scope than reportage and his fascination with antiquity manifested itself in his ability to present historical events as if they were happening before your very eyes. 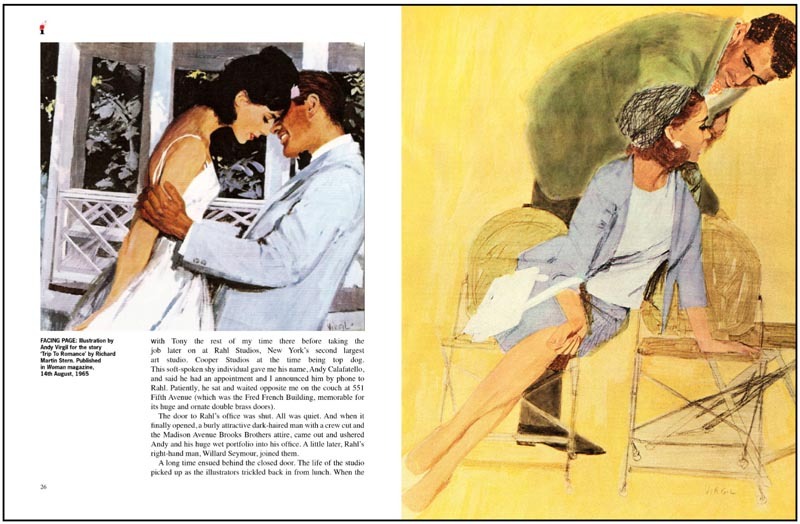 There is also a long overdue feature on Andy Virgil, who was such a powerful talent in editorial and advertising illustration, his sense of design, manipulation of light and color and his ability to create some of the most stylish and inventive layouts has never been bettered. 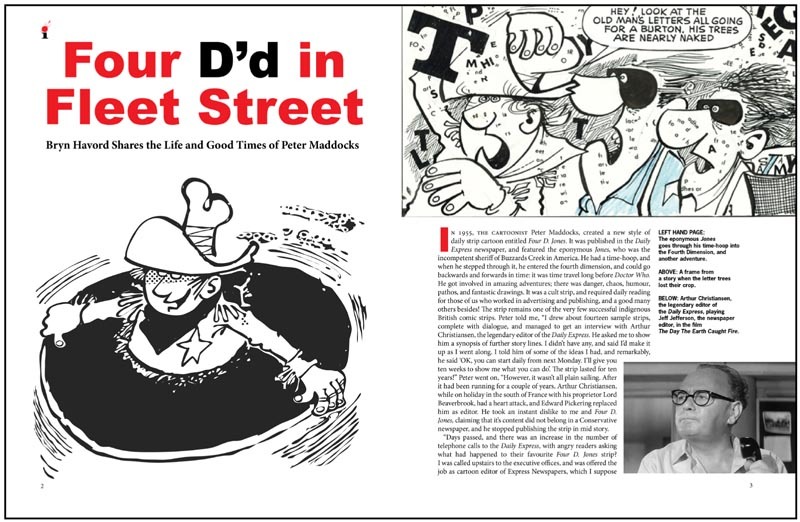 We also take a look at the work of Peter Maddocks, who was one of Fleet Street’s most inventive cartoonists. 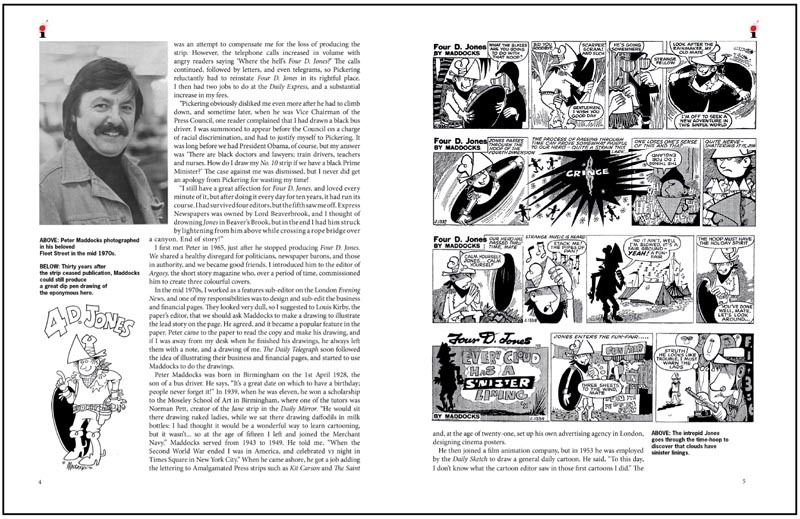 Bryn Havord, who has known Peter for over fifty years, describes the creation of the cult daily newspaper strip cartoon Four D. Jones, which ran for ten years. The eponymous Jones, who was the incompetent sheriff of Buzzards Creek in America, had a hoop, which he stepped through to visit the fourth dimension. Bryn also shows us some of Peter’s other work, which has been created over the past sixty years. David Roach, another Today’s Inspiration guest author, is also one of our consultant editors and has written several superb features for us. David is well known to UK and US audiences, for his passionate and revelatory researches into UK and European illustration, and his knowledge of these genres is in a league of it’s own. He has written several books, including The Warren Companion with John B Cooke as well as The Art of War and its successor; Aarrgghh! 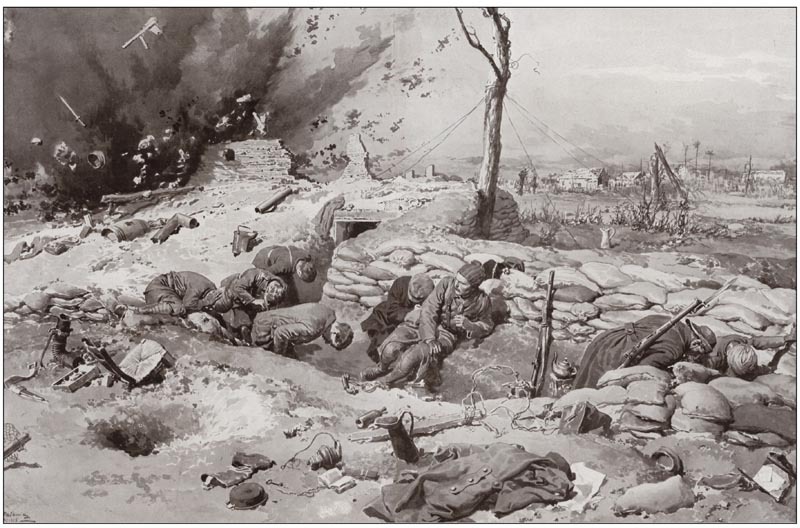 It’s War, which looked at the work of the Spanish and Italian artists whose work graced so many of the UK war pocket libraries throughout the 1950s and 1960s. 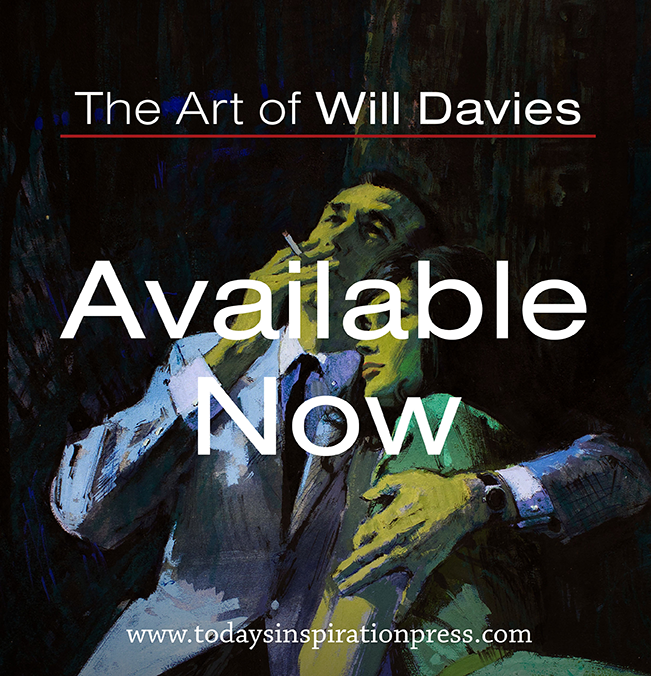 He was the man who, in a manner not unlike Professor Howard Carter discovering the tomb of Tutankhamun, unearthed a warehouse full of these artworks, which had long been presumed lost. David has written a really captivating feature on this amazing story in one of our upcoming issues.